A bench of Justices Ranjan Gogoi and R Banumathi issued a notice to the dentist couple on the appeal filed by Khumkala Banjade, the wife of Hemraj. Advocate Raj Kamal appeared for the petitioner. The appeal was filed in December last year.Later on March 8, the CBI also filed an appeal against Allahabad High Court’s October 12, 2017 decision to set free the couple. The investigative agency said in their appeal that the High Court order was erroneous on various counts. On October 12, a bench of Justice B K Narayana and Justice A K Mishra of the Allahabad High Court had acquitted the dentist couple by giving them the “benefit of doubt” in the murder which took place in Jalvayu Vihar home in Noida on May 16, 2008. 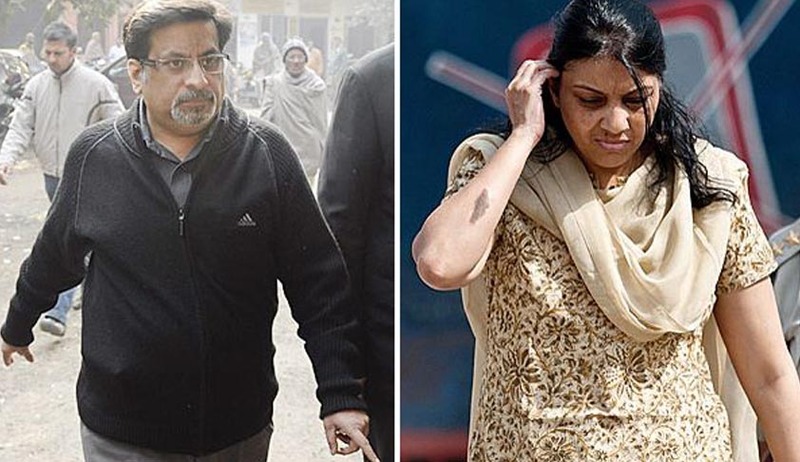 HC had upheld an appeal by the Talwars against a Ghaziabad CBI court order awarding them life imprisonment on November 26, 2013, bringing an end to a nine-year ordeal of the couple. After Aarushi was found murdered in her bedroom, Hemraj was initially considered a suspect. However, his body too was found in a pool of blood a day later on the terrace of the house. The Uttar Pradesh Police accused Rajesh Talwar of killing his daughter in a fit of rage. Rajesh Talwar was arrested on May 23, 2008. On May 31, 2008, the CBI took over the case and initially absolved the parents but later held them responsible for the two murders. On June 13, 2008, Rajesh Talwar's compounder, Krishna was arrested by the CBI. Ten days later, Raj Kumar, a servant of a doctor friend of the Talwars, and Vijay Mandal, the domestic help of the Talwars' neighbor, were also nabbed.